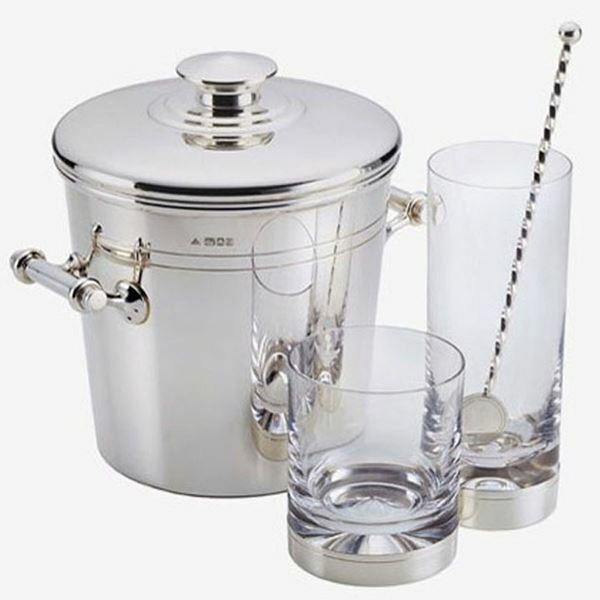 A stunning British designed and made Sterling Silver Ice Bucket with a sterling silver lid. This piece engraves beautifully with names, initials, dates or a message and is a perfect for the home or a Yacht. It stands at 20cm high with a 17.5cm diameter.